Bus passengers in Scotland are satisfied overall with their bus journeys, however customers are not satisfied with waiting times, punctuality and on-bus journey times, affected by congestion. Stagecoach has been short-listed for three top honours at the 2017 UK Coach Awards. 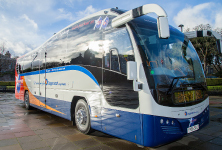 A total of 4,896 Stagecoach UK drivers have been awarded Fleet Elite status, of which 223 drive for Stagecoach East Scotland. 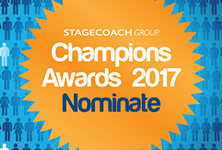 Stagecoach Group has launched its 2017 Champions Awards for employees – and is inviting bus and coach passengers in the East of Scotland to nominate their favourite member of staff.